That’s a great day for me! The voucher copies to my Nippon trilogy The Discovery of the East Pole were sent to me and have savely arrived. Now it’s more than just eBooks. 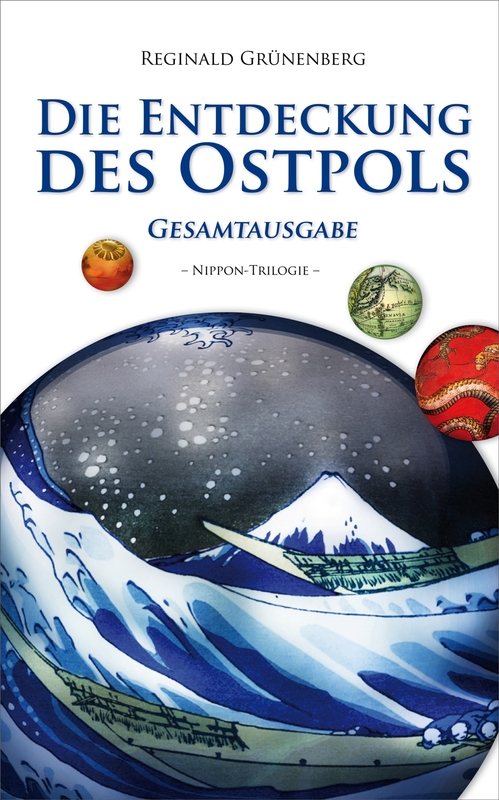 In addition, I have set up an English website for the novel containing a summary and lots of background information for non-German audiences and publishers: www.east-pole.com. Enjoy! 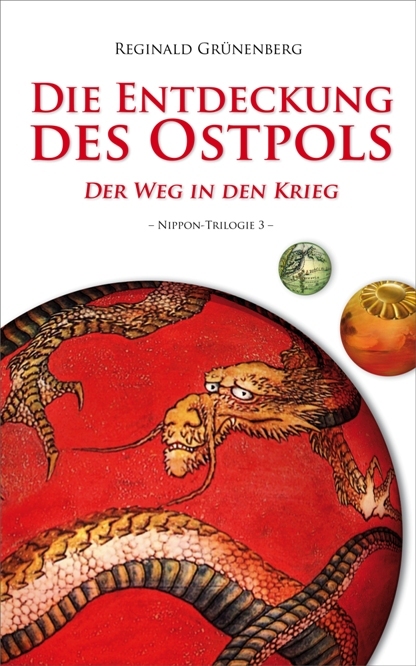 The German ebook-version of my Nippon trilogy ‘Higashikyouku no hakken’ is published in four books – three parts of the trilogy and one complete edition – in Amazon Kindle Shop, Google Play Store, Apple iTunes (coming soon) and more than 150 further ebook-shops. On www.entdeckung-des-ostpols.de readers may find many documents and pictures illustrating this very first ‘true historical fiction’-novel. There are alltogether 8 galleries with more than 400 pictures, among them pics about my life with Japan. More about the story and the evolution of the script in this post. 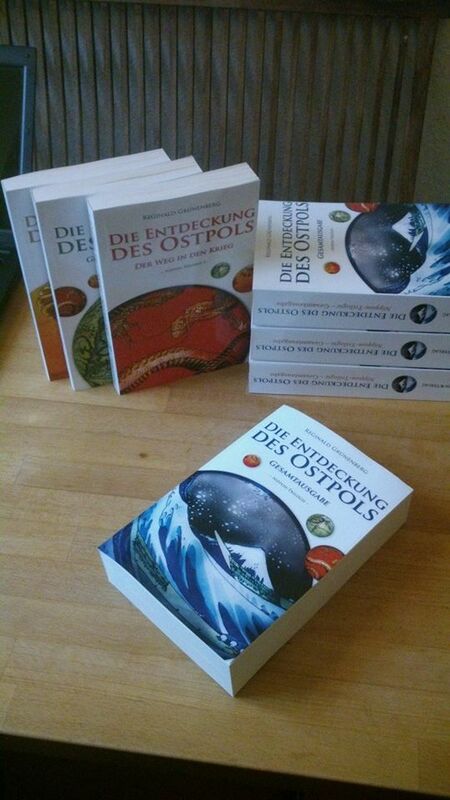 I am very happy with the four “theme spheres” that I have created for the book covers. On the cover of part I you see the golden chrysanthemum, the seal of the Japanese emperor, on the cover of part II it is the shape of Japan on a map of the 17th century and the cover of part III shows a dragon painted by Hokusai. 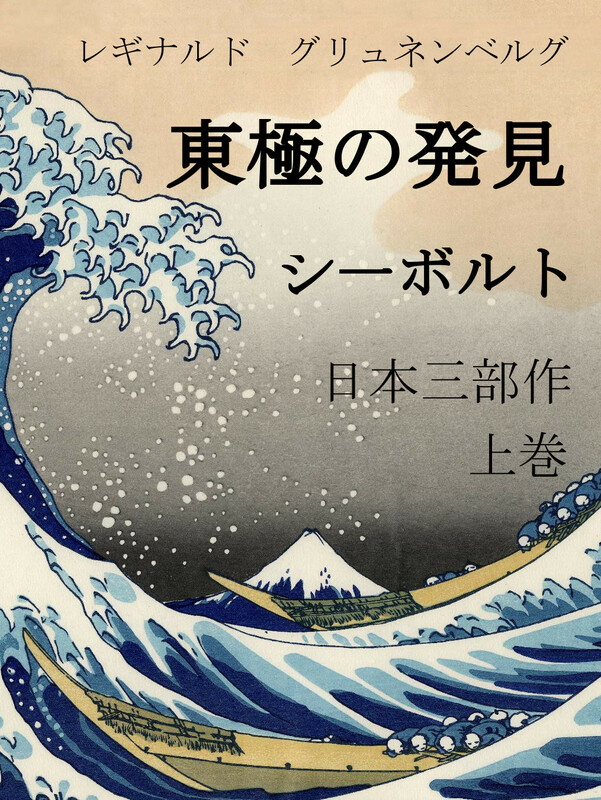 The cover of the complete edition also shows a picture of Hokusai, the famous ‘Great wave of Kanagawa’. I have some more ideas, but this simple approach with Hokusai’s painting seems to work. 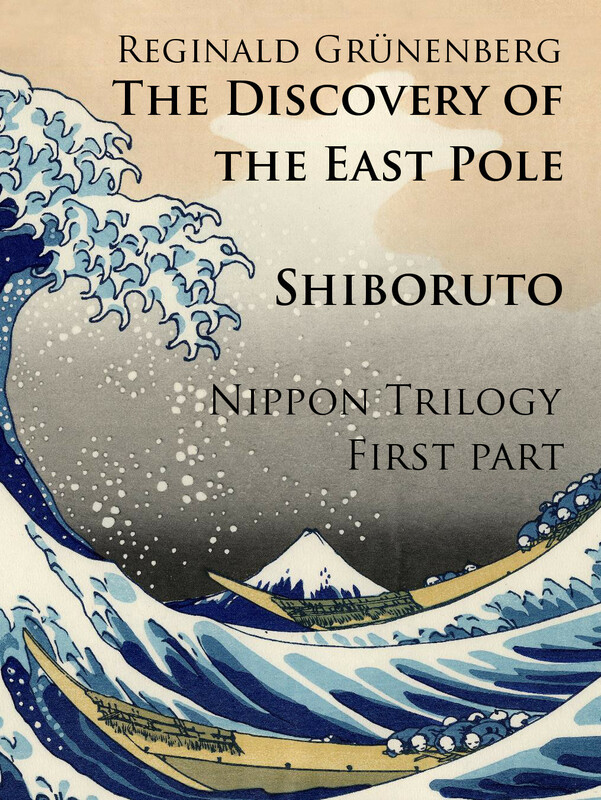 The Nippon Trilogy “The Discovery of the East Pole” is completed! From the very first idea of writing this novel, it took 25 years to finish it. In 1987, I read the story of the German physician Philipp Franz von Siebold who went 1823 under Dutch flag and (false) identity to Japan. 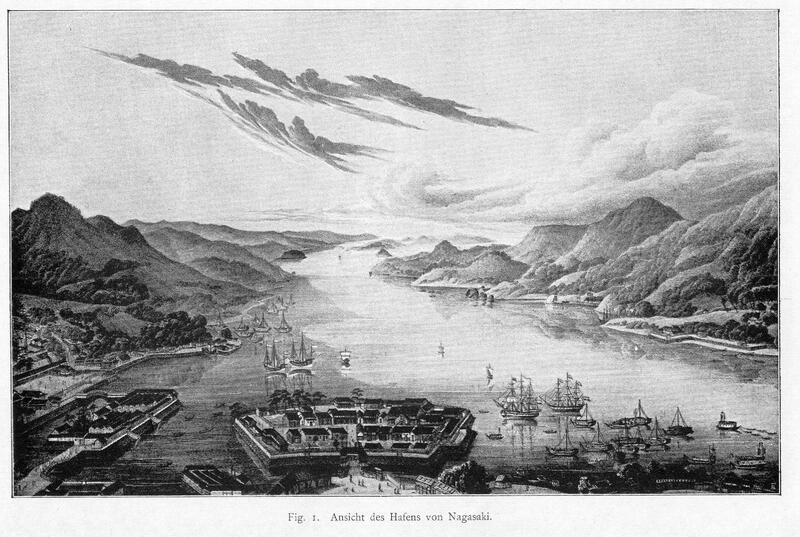 Within the port of Nagasaki, there was a tiny, artificial island called Dejima, and it was the only spot where foreigners – exclusively Dutch citizens – were allowed to live and entertain trade with the Japanese since the seclusion of the country two centuries ago. Siebold, called “Shiboruto” by the Japanese, soon became famous for his medical expertise and his broad knowledge in practically all western sciences, which he shared freely. He fell in a lifelong love to a young Japanese woman. Their daughter was to become the first female medical doctor in Japan. 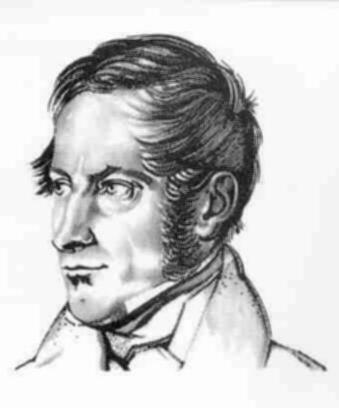 Find more about Siebold’s life and work on Wikipedia. 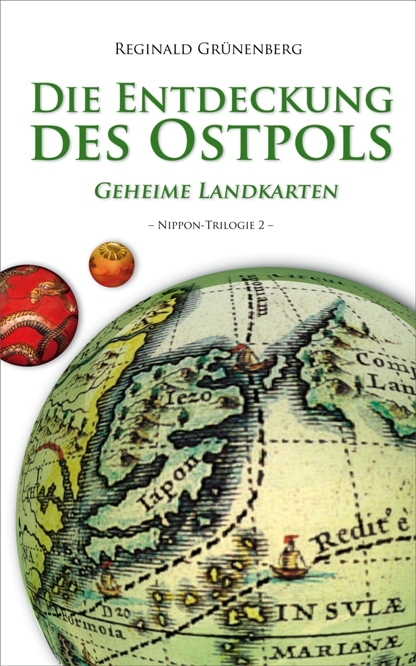 The center, key and turning point of the novel is Siebolds acquisition of geographical maps of Japan through bribery and their subsequent smuggling to Europe. This was a fatal mistake. Japan’s natural shape was the best protection against the foreign naval powers that colonized almost all of Asia. The navigators did not have a single reliable map of the rough, rocky and steep Japanese coastline. It was extremely dangerous to cruise in those waters. The foreign powers even didn’t have a clue where Edo, the capital of Japan, is located. Siebold, who loved Japan and its people, was an ambitious man and wanted to gain reputation by offering these maps to the scientific community. Twenty-five years later, US-Commodore Perry held copies of Siebold’s maps in hand, when he entered the bay of Edo with his squadron of steamships. He proudly showed the maps to the shocked Japanese, thus letting them know that they were naked and had lost their natural protection. He threatened them to enter the port of Edo and to destroy the whole city – it was the biggest city in the world – with his impressive Paixhans guns, the first ones to fire explosive shells. Finally, he forced the Japanese 1854 to sign the Convention of Kanagawa. He did not formally “open Japan”, even if he thought so, and even if the story is told that way in all history textbooks around the world since this event (see my essay Rethinking the History of Japan II: The Myth of America’s ‘Opening of Japan’). The real ‘opening of Japan’ was reached by the Russian admiral Putjatin in an operation which is described in the novel as The Miracle of Shimoda (chapter). Nevertheless, the arrival of Perry’s so-called black ships marked the beginning of Japan’s incredible tragedy that ended in WW II. The novel tells the entire story until August 6th, 1945. About 95% of “The Discovery of the East Pole” is based on historical facts and persons. Thus, I believe to have written the first historical novel based on the principle of true historical fiction, a completion to true (contemporary) fiction as in Capote’s novel In Cold Blood. It offers a plethora of historical events, facts and developments that are mostly unknown to present-day Germany, Great Britain, Russia, United States and especially Japan herself. I hope my agent will sell it to a powerful publisher, because I want to see it spread all over the world. By the way, David Mitchell, the author of Cloud Atlas, has written a nice historical novel on Nagasaki and Dejima around 1800, The Thousand Autumns of Jacob de Zoet. 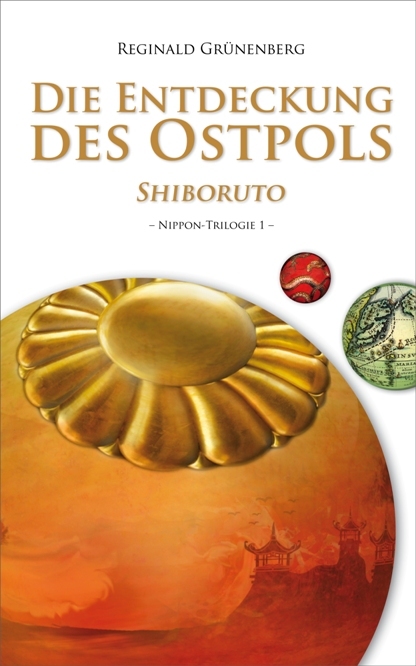 It is well researched and brilliantly written, but far less ambitious in terms of plot, historical truth, political background, philosophy and insight into the enigmas of Japan than Shiboruto. I consider my novel immodestly as the ‘literary opening of Japan’. When you read it, you will look beyond the thick veil of romantic, mystical and exotic stereotypes and illusions on Japan and discover something even more fascinating and beautiful. The Uniqueness Hypthesis is Published! Please find the essay in English and in full length here.